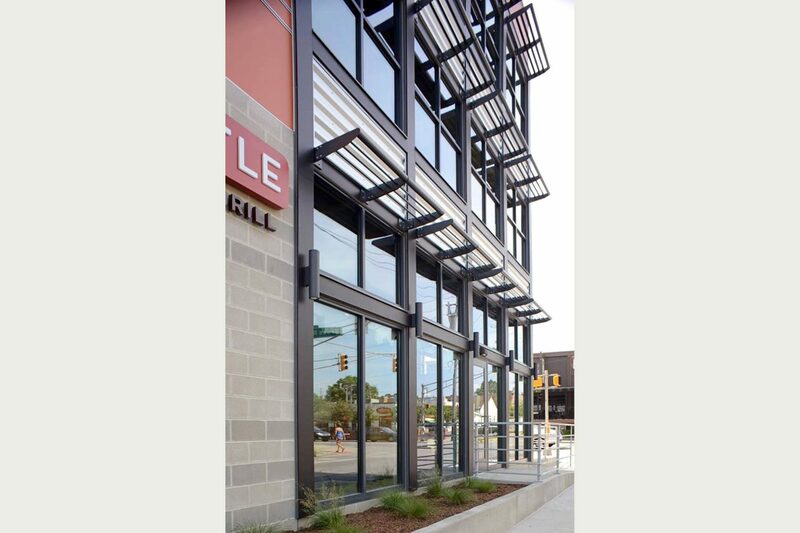 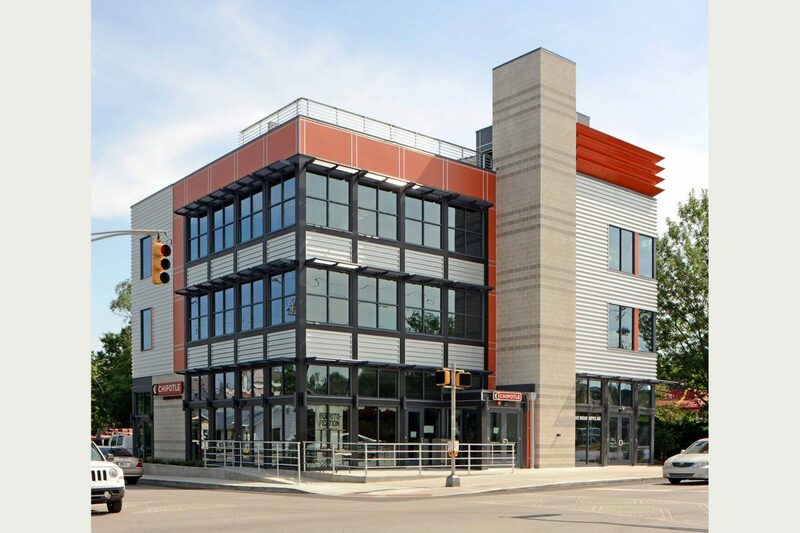 Standing at Main and Main in Broad Ripple, Monon Pointe has quickly become an architectural standout in the mix of restaurants, shops on the Monon Trail that runs through this midtown location. 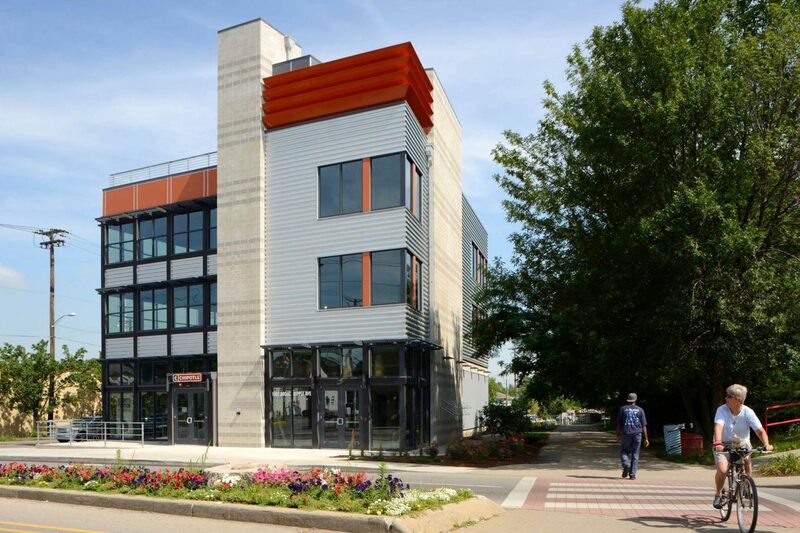 The 9,000 square foot building, developed by LOR Corporation, was built in 2013 and features first-floor retail, with two floors of office above. 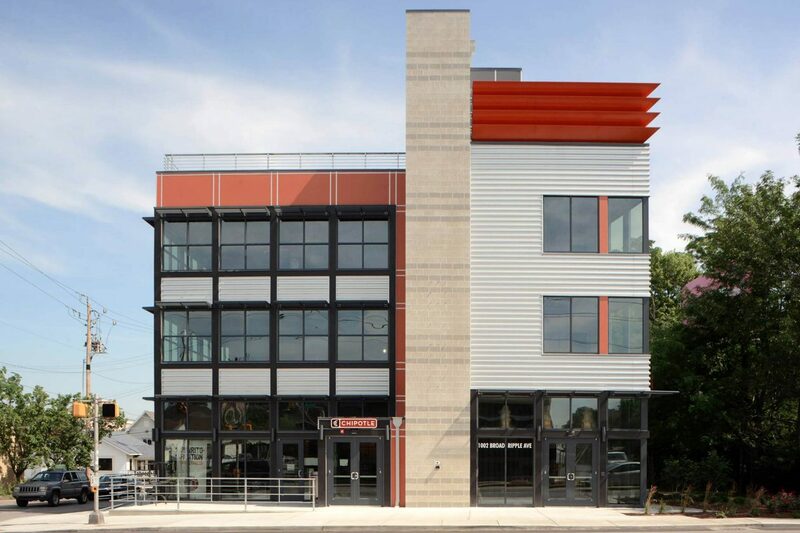 Blackline Studio designed the unique building that replaced a long-standing liquor store on a postage stamp site!